***These are affiliate links. It won’t cost you anything additional to shop through these links but they do pay me a small percentage for referring you to their site. 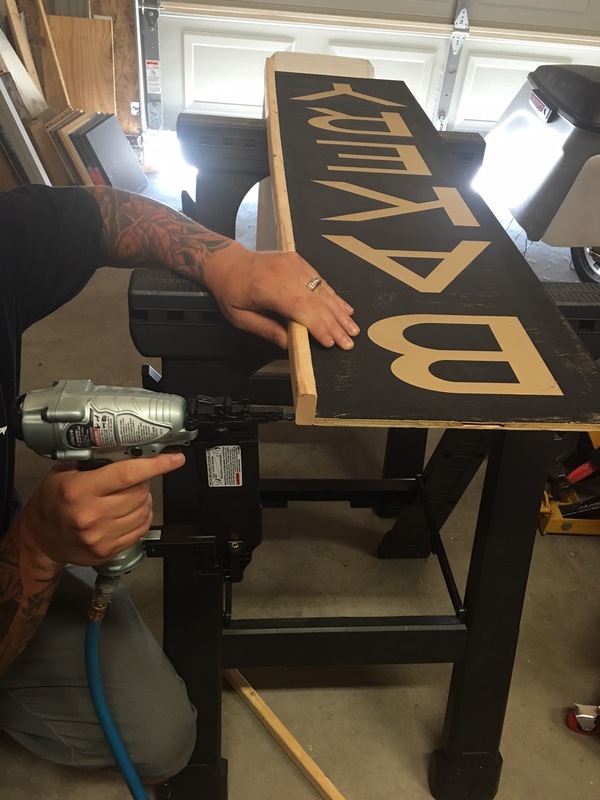 Have you ever wondered how everyone finishes their signs off with a cute custom frame? I have seen so many signs floating around Facebook and Pinterest that really look complete once 4 boards are added to the corners. 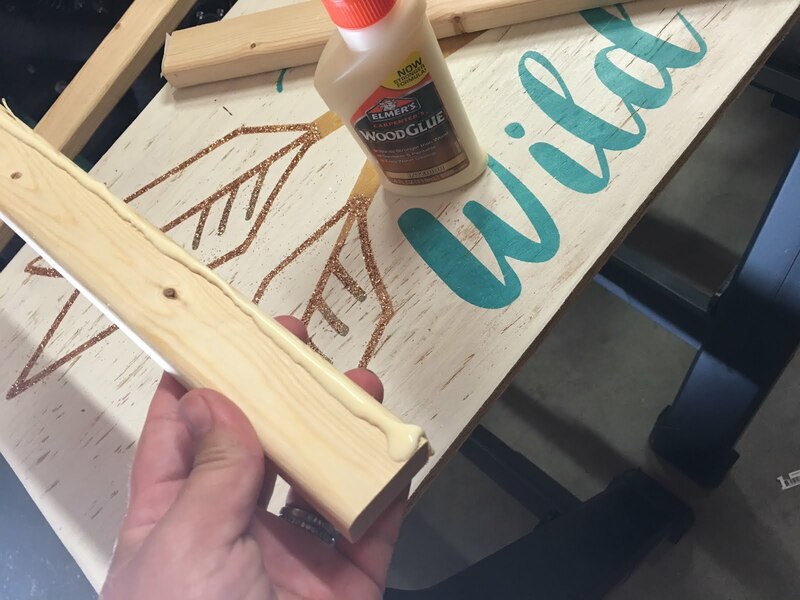 I have never used a nail gun before so the task of trying this project out seemed a little daunting to me but I wanted to let go of my fears and learn something new. I hope this helps you all to try to frame one of your signs as well. I understand that everyone may not have all of the power tools at their disposal. If you don’t have a nail gun, try a stapler. 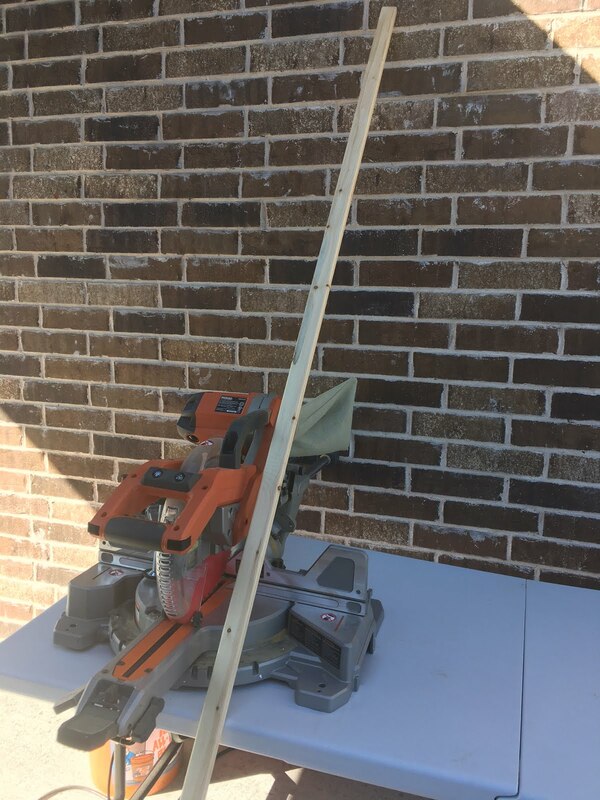 If you don’t have a miter saw, use a hand saw or have the great employees of Lowes or Home Depot cut your boards to size. Where there is a will, there is a way and I am sure you will all find it. 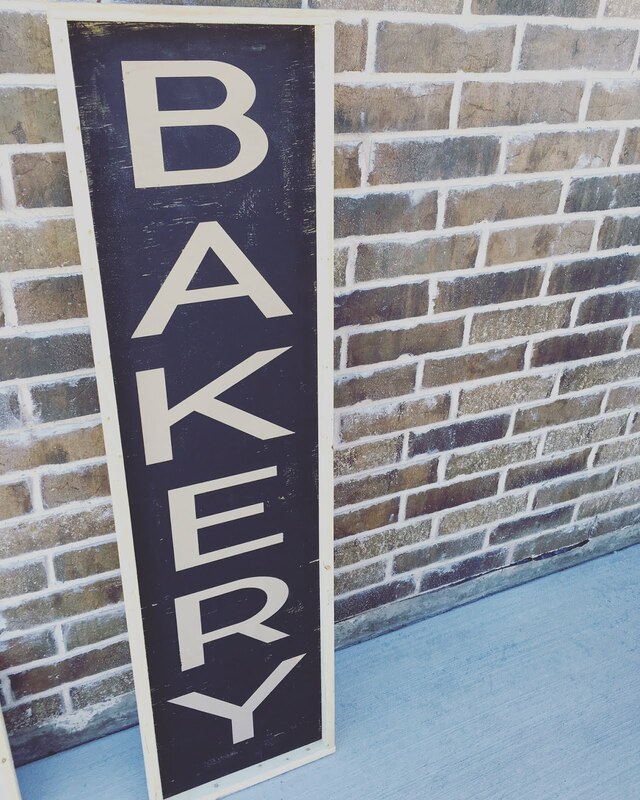 To begin, I grabbed 2 signs of varying sizes out of my craft stack. I started by measuring the length of the signs. This particular sign measured 48” from top to bottom. I took a piece of the 1×2 common board and marked 48” to cut. I turned my miter saw and made this 48” cut twice. 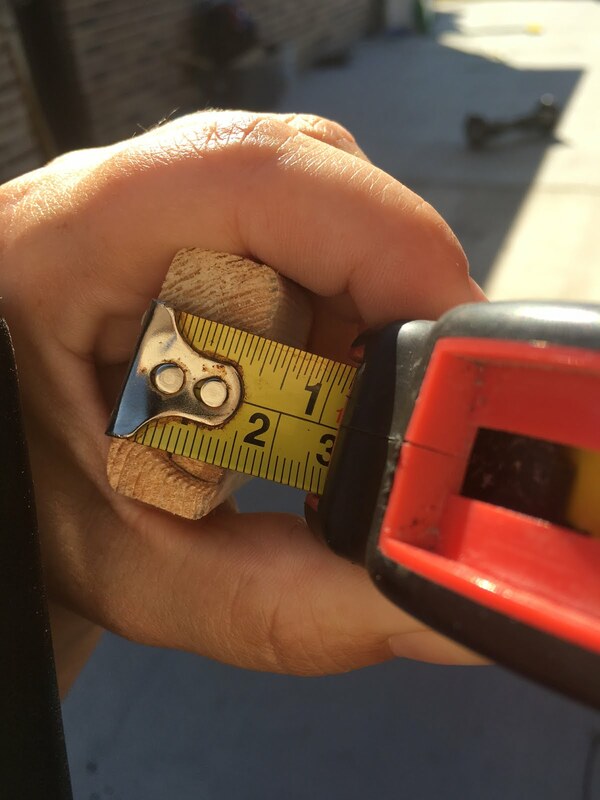 After cutting both pieces of wood I had to measure the width of my sign. On both top pieces there is a overhang. You have to take into account the width of your sign and the width of the trim. In my case the sign was 12” wide and the trim was (let’s say for the sake of easy calculations) 1” wide. 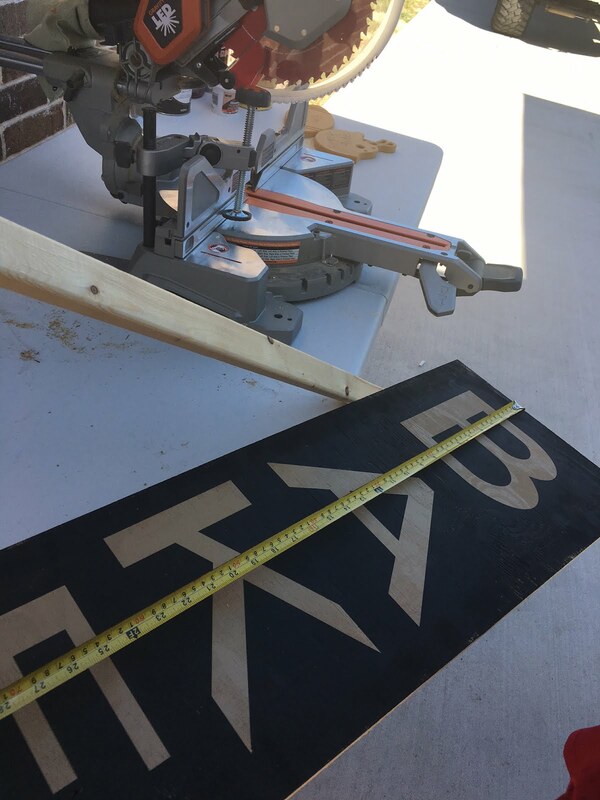 I wanted the trim to hang over 1” on each side to be flush with the trim on the side pieces; in order to do this I added the 12” (width of my sign) to the 1” on the left side and the 1” on the right side and my cut length was 14”. Cut this twice. At this point you should have both side pieces and both top pieces cut. You can leave the wood raw or sand and stain/paint. First I added glue to the piece of trim I would be working on. Then, I added the trim to the side of the sign. I made sure the trim was flush with the bottom of the sign and then I nailed it into place. My husband helped so I could take pictures of the process. I continued by adding both sides and then repeating the glue and nailing on the tops. If your cuts are off and there is any overhang, use your sander to sand until even. That’s it!!! You should have a complete sign now!!! Congratulations! Show off your hard work with pride! 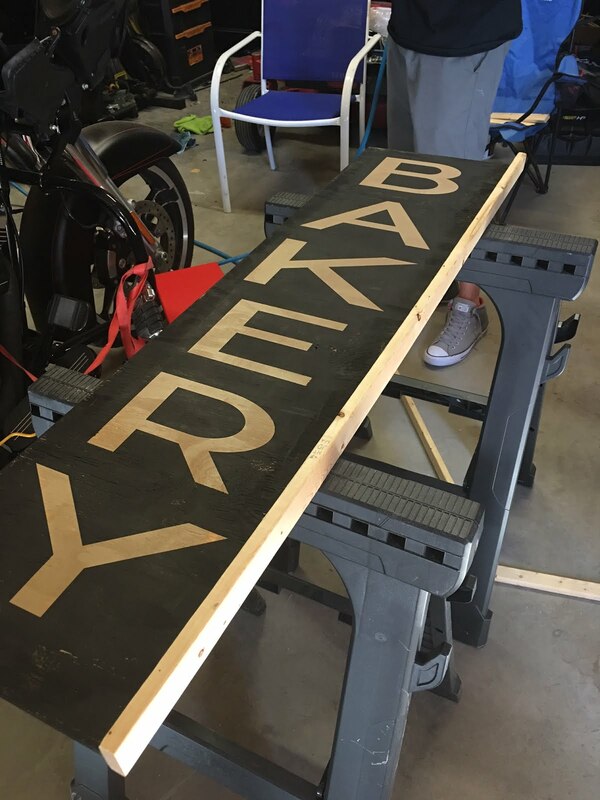 If you want an angled sign instead, you can measure the top and sides exactly (no overhang is needed) and cut all cuts at a 45 degree angle. This makes another beautiful frame!